The previous 12 months have given us a wealth of Doctor Who treats, including Series 10, the animation of Shada, and the introduction of Bill Potts to the Whoniverse. But cast your eye, albeit blinkingly, away from Doctor Who and the televisual landscape has been as wonderful as ever. 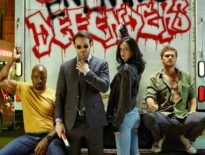 In fact, you’ll see the vast number of TV shows either star the cast of Who, or have the series’ crew working behind-the-scenes. We can’t cover all the excellent programmes on TV in 2017, but we’ll nonetheless guide you through a few shows you simply have to see. Yes, let’s start with what’s felt like Doctor Who‘s companion show (or at least as close as another series can be, aside from genuine spin-offs like Torchwood) – despite not featuring the Doctor, time travel (apart from in Sherlock’s Mind Palace), or monsters comparable to the Daleks. Still, Sherlock has attracted the same fandom as Doctor Who, written as it is by Mark Gatiss (Victory of the Daleks), Stephen Thompson (Journey to the Centre of the TARDIS), and Steven Moffat, Who showrunner between 2010 and 2017. Series 4, which premiered on 1st January and concluded on 15th January 2017, boasted stories from Moffat and Gatiss, directed this time by Rachel Talalay (Heaven Sent/ Hell Bent), Nick Hurran (The Day of the Doctor), and The Crown‘s Benjamin Caron. 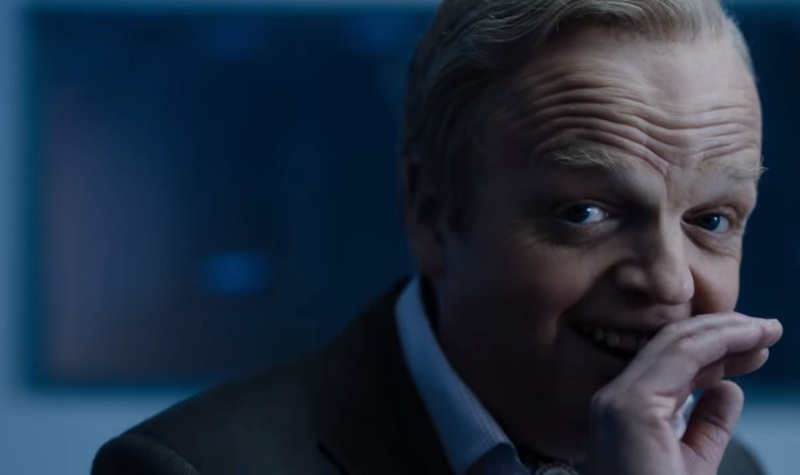 The three episodes divided the audience, with many wishing the focus of stories would revert to the original formula, not making Holmes and Watson the centre of intrigue – fortunately, The Lying Detective starred Toby Jones (Amy’s Choice) as the truly revolting Culverton Smith. You know all about this Netflix exclusive, right? We cover it quite a bit on the DWC, and it gets heaps of critical acclaim. And it’s worth it. The Eleventh Doctor, though some know him as Matt Smith, plays Prince Philip, in this tale of royalty that manages to somehow humanise the family while also setting them apart from everyone else. It’s beautifully told, and far more fascinating than you might initially think. Some might go into it thinking it’s just pomp and tedious circumstance – but it’s not. 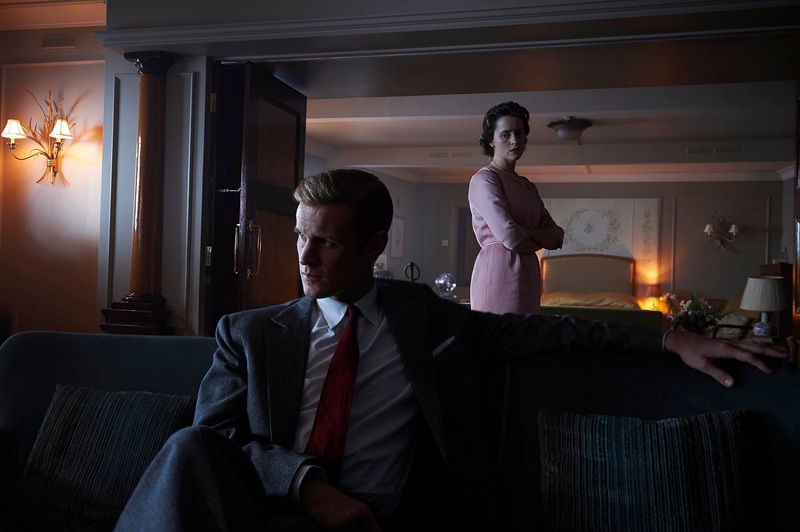 Put aside any notions of the Monarchy being an outdated system (which I don’t agree with, but I at least acknowledge some do think that way): The Crown is just exceptional drama. If you don’t believe me, watch the penultimate episode of Series 1, Assassins. It’s gorgeous. As for Matt Smith: he’s excellent. Duh. You pick up some mannerisms he shares with the Eleventh Doctor, but tonally, there’s a big shift for him to play the Duke of Edinburgh. His transformation is astonishing. The focus for Series 2, released on Netflix in December 2017, just over a year after Series 1, shifts more towards his relationship with the Queen (Claire Foy), which is a pleasing development for Doctor Who fans. What’s less pleasing is the fact that this is the last time Smith and Foy will star. The Crown will continue to tell the story of the Royal Family, but showing them at different stages of life means a new cast. Nonetheless, let’s be thankful for such a strong role for Matt. I’m calling it: The A Word is the strongest drama on terrestrial television. I might even argue it’s better than Doctor Who has been for a few years (neck and neck though, I assure you, and I can be swayed, given time and enough scenes with Bill Potts). It’s a show that you genuinely look forward to each week. It’s a burst of happiness that still manages to tackle a lot of tough subjects and heartbreak. It’s the story of Joe Hughes, played by breakout talent Max Vento, who was revealed in Series 1 to be on the autistic spectrum. It’s also the story of his family. There’s a lot to get tearful about – although matters of the heart always remain the centre of this show; only natural given the fact everyone’s suffered the effects of love (or at least being smitten) – yet the really wonderful thing about Peter Bowker’s drama is the humour that makes each episode a genuine pleasure to watch. Doctor Who fans will recognise a few familiar faces, like: Morven Christie (Under the Lake/ Before the Flood); Vinette Robinson (42; Sherlock); Pooky Quesnel (A Christmas Carol; Class); Ralph Little (Smile); and Michelle Tate (The Crimson Horror). And of course, Christopher Eccleston, aka the Ninth Doctor, who plays the gloriously clueless and thoroughly good-hearted Maurice, Joe’s grandad. 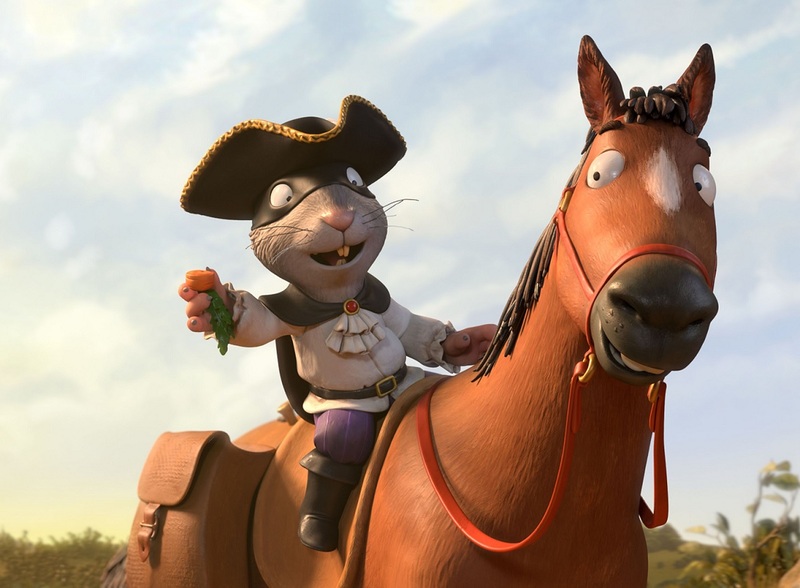 This is the latest in a line of adaptations of Julia Donaldson books, which have been biannual BBC1 festive offerings since 2009’s The Gruffalo (read, trivia fans, in The Hungry Earth). As with previous years, it boasts an impressive cast, headlined by the Tenth Doctor himself, David Tennant. He’s the titular Rat, who indulges in one of the seven deadly sins: gluttony. He steals food from all the other animals and gets fatter and fatter, while the community around him starves. Yes, it’s based on a book for youngsters, but it’s an entertaining yarn, beautifully realised with a good selection of characters, and a nicely-rendered world. It’s ideal family viewing, but you’ll likely still find much to enjoy even when watching on your own. Nina Sosanya (Fear Her) voices the Duck, while non­-Who members include Rob Brydon (Would I Lie to You? ), Tom Hollander (The Night Manager), and Frances de la Tour (Hugo). Lee Mack is my favourite comedian, and ergo, Not Going Out is my favourite comedy show. Oh, I have many comedy shows I love, but I find Not Going Out to be something extra special. It’s an old-school sitcom, filmed in front of a live studio audience, and doesn’t care about its own continuity – as long as there’s a joke to be had. Essentially, it’s the anti-Office (although I’m not insulting Gervais’ series either, as I liked that). Mack began it in 2006 because there’s now a screenwriting rule in comedy about there being one gag per page; he knows that’s not enough. So he throws as many jokes in as he can. Much of its run has involved Lee’s character (inventively called “Lee”) fancying his flatmate, Lucy (Sally Bretton – although it was Megan Dodds’ Kate) but never plucking up the courage to admit it. But in 2014’s Series 7 finale, The Wedding, they… well, they got married. With Series 8 (2017), we experience a time-jump, where we find Lee and Lucy in their own house, with 3 kids. There aren’t many Doctor Who alumni spread across the show’s history – Torchwood’s Katy Wix plays a main character, Daisy, for a few series, Steve Spiers (Aliens of London/ World War Three) shows up as a children’s author, and Simon Dutton (The Time of Angels) provides an antagonist in Series 2 – but 2017 was topped off with a festive special, The True Meaning of Christmas, dedicated to Keith Barron. This appears to be Barron’s final acting credit, and while it’s not a starring role, it’s lovely to see the Enlightenment star once more. And the fact it’s dedicated to him is a sweet Christmas treat. In contrast, this BBC drama has numerous links to Doctor Who. If you live in the UK, you’ll probably remember the press coverage for this three-episode series, such was its impact when it screened in February and March: the story revolves around Ellen, a successful architect who is temporarily replaced by Paula at her company when on maternity leave. While they initially get on, Ellen soon becomes suspicious of Paula, paranoid that she’s out to replace her altogether. And then someone dies. But was it murder? Morven Christie is truly marvellous, and anyone who watched her as O’Donnell in Under the Lake/ Before the Flood surely became a tad smitten. 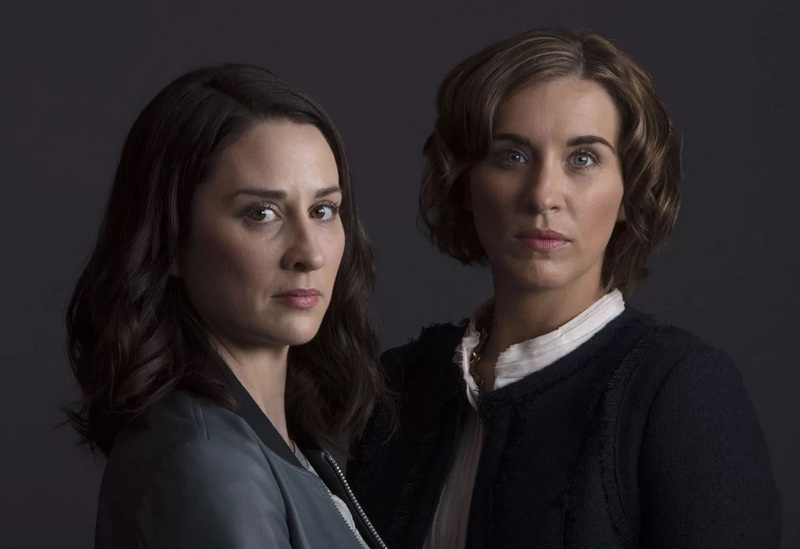 Similarly, any avid viewers of Line of Duty will recognise how great Vicky McClure is, but here, as Paula, she plays a very creepy role. And you really don’t know whether Paula is really out for blood or if Ellen’s just paranoid. Aside from Christie, you’ll see Dougray Scott (Hide), Neve McIntosh (Madama Vastra), and Siobhan Redmond (the Rani for Big Finish). It’s also a welcome return to TV for writer and director, Joe Ahearne, who helmed numerous episode for Doctor Who Series 1, notably the two-part finale, Bad Wold/ The Parting of the Ways. The audience was divided about its conclusion, but this remains a very watchable, tense, and brooding miniseries. No prizes for guessing which Love & Monsters actor writes and stars in Peter Kay’s Car Share. 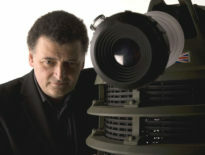 Series 1 proved an immediate success, and the BBC was keen to secure a second series. However, as Peter Kay confirmed, this would be its last. Fortunately, he’s since announced one finale plus an out-of-canon special will be coming sometime in 2018. That’s because when Series 2 concluded, the nation begged for more. We need closure! This comedy has a great premise, simple yet compelling: it’s a car share. Each half an hour shows us John and Kayleigh (Sian Gibson) driving to work. There’s naturally some romance to pull audiences along, but that’s because their chemistry is so perfect. It’s hilarious and truthful, one of the best comedies on the box. Watching an episode is like spending 30 minutes with friends. Just magical. 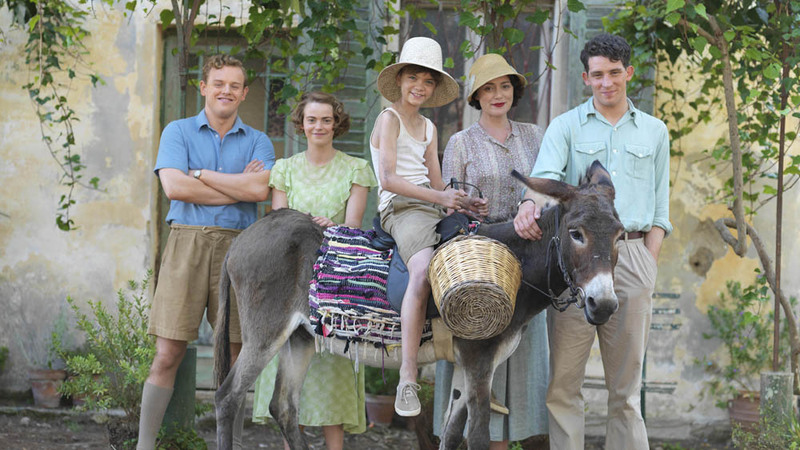 Ending on a similarly upbeat mood for now, The Durrells, too, proved a massive hit when Series 1 screened in 2016. Set in sunny Corfu, it’s a breath of fresh air. Based on Gerald Durrell’s autobiographic trilogy about his home life, growing up on the Greek island, it’s a charming look back at life in the 1930s. Keeley Hawes (Time Heist) plays the matriarch, Louisa, while Josh O’Connor, who you might know from Cold War, plays Larry (the real Lawrence Durrell was a celebrated author, probably most famous for The Alexandria Quartet). And I reckon O’Connor would make a great Doctor. Mark my words. No, that’s not all. Naturally, there’s a lot more. But you’ll have to return to the DWC tomorrow for the final part.